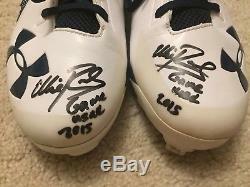 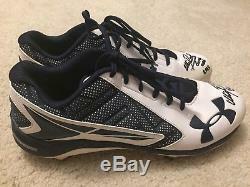 This is an authentic pair of autographed game used cleats (Under Armour size 11.5) used by Minnesota Twins star outfielder Eddie Rosario during his stellar 2015 rookie season in which he finished 6th in AL ROY voting after leading the league in triples and outfield assists. 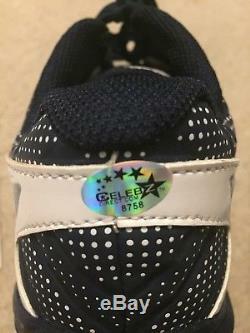 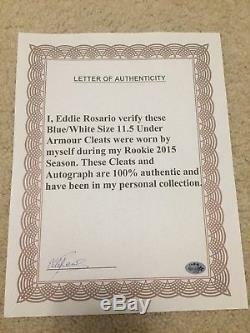 The cleats are insured by and come with a certificate of authenticity (COA) that is hand signed by the player himself. 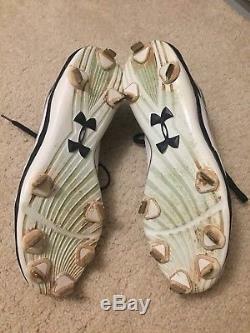 Each cleat is signed on the toe and inscribed with Game Used 2015. 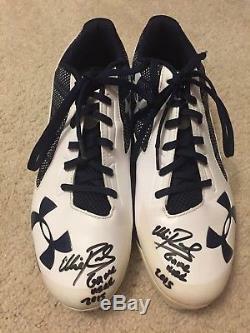 The item "Eddie Rosario Autographed Game Used Cleats 2015 Rookie Season COA" is in sale since Saturday, May 12, 2018. 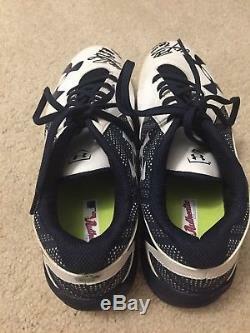 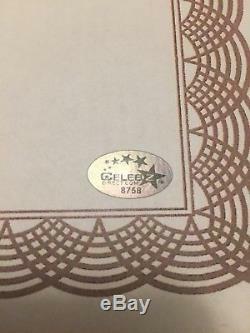 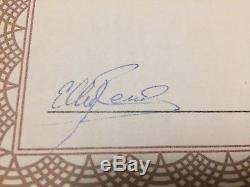 This item is in the category "Sports Mem, Cards & Fan Shop\Game Used Memorabilia\Baseball-MLB\Other MLB Game Used Mem".ale" and is located in Circle Pines, Minnesota.